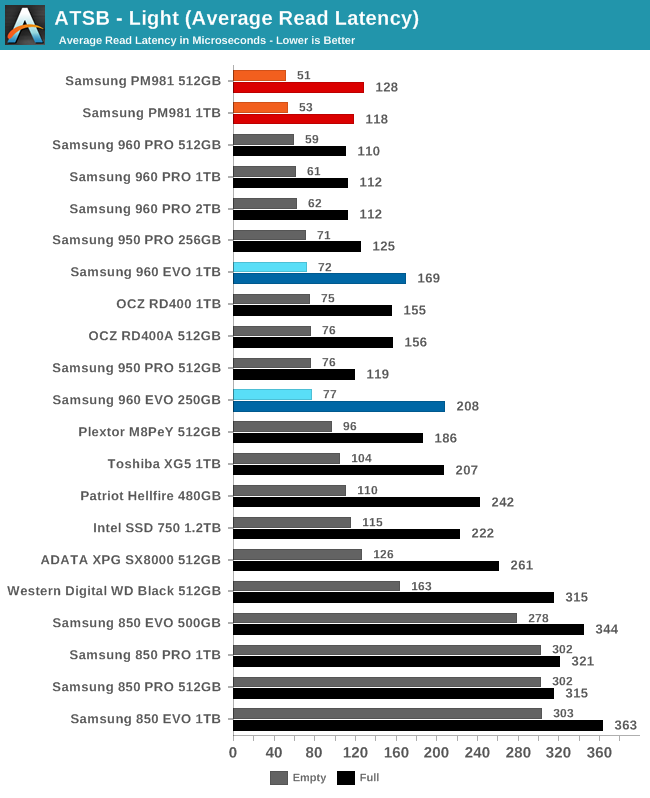 Both capacities of the Samsung PM981 offer great average data rates on the Light test. 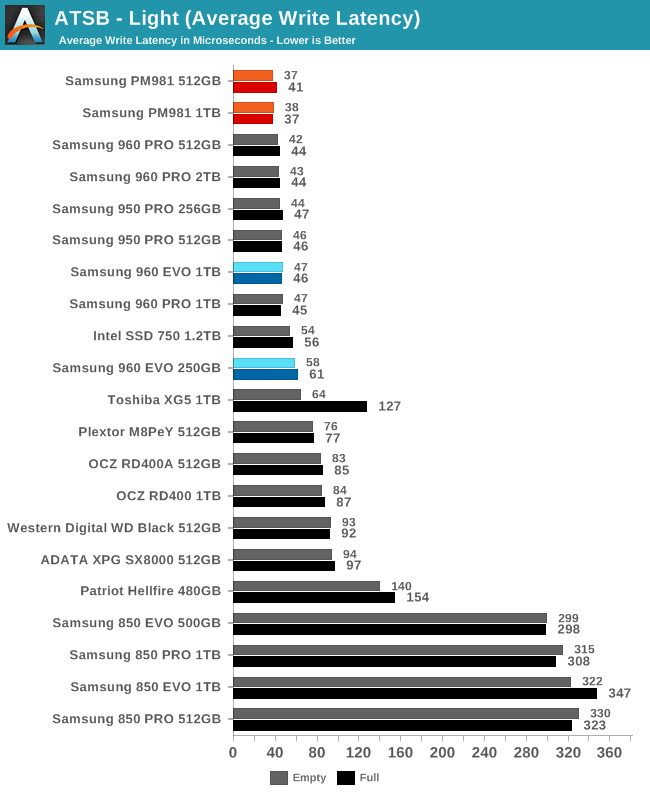 Their performance when full or empty is improved over the Samsung 960 EVO and comes close to the 960 PRO. 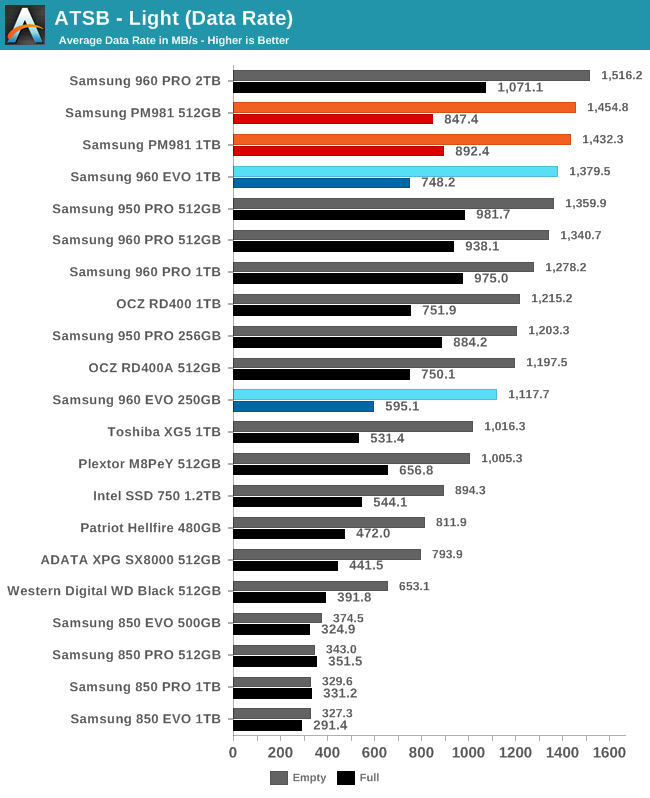 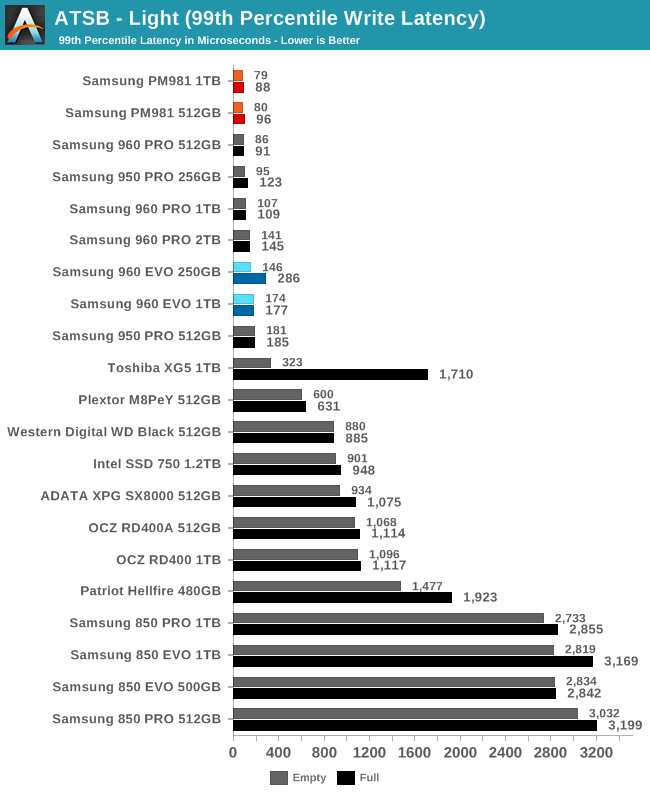 The average and 99th percentile latency scores of the PM981s aren't much of an improvement over Samsung's last generation, but this is still a new record for flash-based SSDs, even though the PM981 is using TLC NAND. 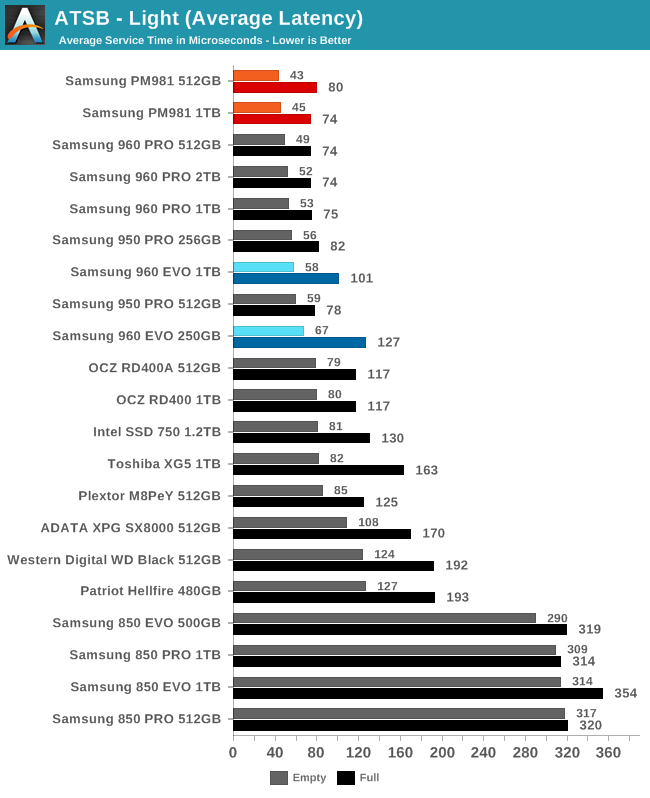 The average write latency of the PM981s is great whether the test is run on a full or empty drive, but the average read latency is slightly worse than the 960 PRO when the test is run on a full drive. 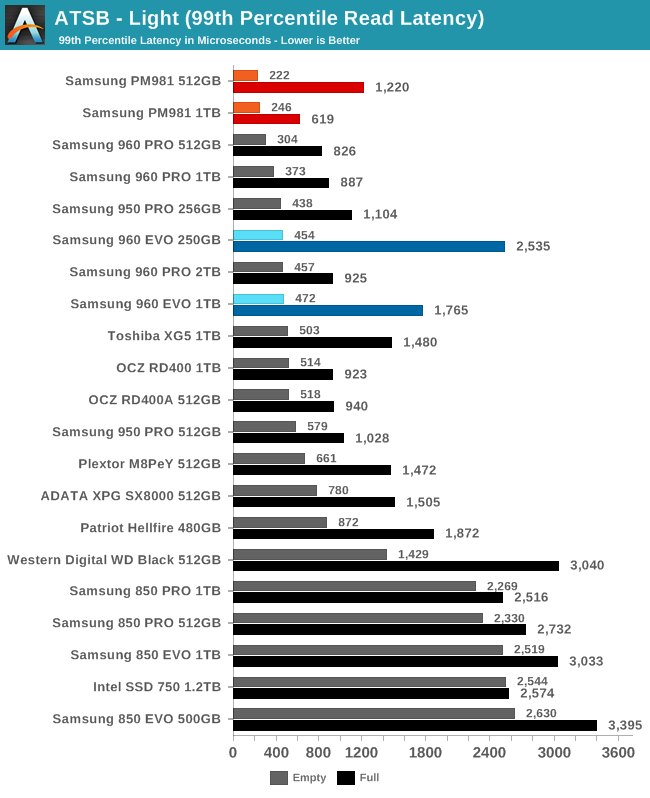 The 99th percentile read latency of the PM981s is record-setting when the Light test is run on an empty drive, but only the 1TB sets a record when the test is run on a full drive. 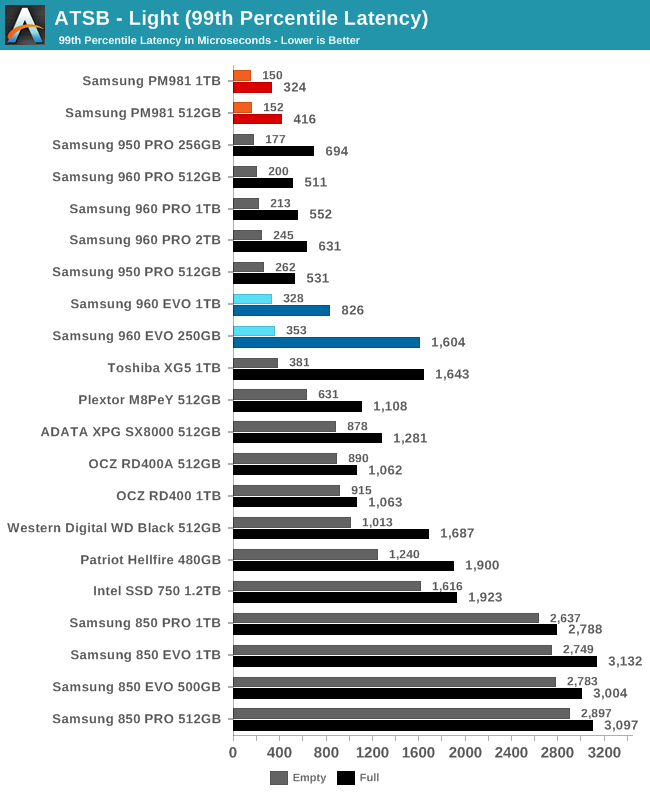 The 99th percentile write latency is excellent on both drives in either test scenario.